I feel that when it comes to running, it is important to keep making progress on nurturing your feet. The only sure way to maintain strong feet is by continuously and effectively engaging your feet with the ground. This does NOT include wearing traditional running shoes because there are a lot of high negatives of running in cushion, arch-supportive running shoes. There really is no long-term payoff of wearing conventional running shoes, and based on the scientific literature, cushioned, motion control running shoes are enormously consequential. 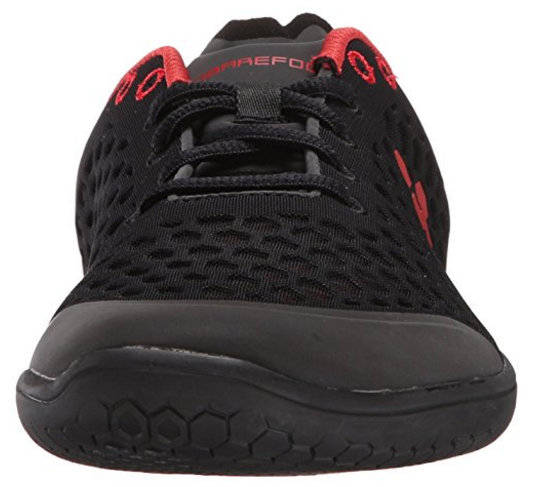 Your feet will always be much stronger in barefoot-like footwear, like the Vivobarefoot Stealth 2 running shoes, because barefoot-designed footwear directly vitalize the foot’s musculature and provides near barefoot weight-bearing demands which improves the function and strength of the bony arches in the foot. For starters, you need to choose a barefoot running shoe with a super thin outsole that allows sensory input to pierce through the foot. This will create the opportunity for accelerated muscle strength improvements in the foot. And once again, Vivobarefoot knows how to renew your feet with the Stealth 2, which commits your feet to be more active participants when running and walking. Your foot health and running form will prosper in the Stealth II thanks to the shoes 3-mm thin outsole which is the real step you need to take to rebuild your feet, strengthen your ankles, and correct bad running form habits like heel strike running. Remember, running with a forefoot strike foot step is the good base you need to avoid running injuries and will be an invaluable asset to your running performance. Based on wear-tester reports about the Vivobarefoot Stealth 2 running shoes, I am confident that this shoe will help you reach your potential as a runner and you will be able to work through all the problems created by the traditional running shoe. One of the main reasons the Stealth 2 has been so well received among minimalist runners is despite its 3-mm thin outsole, the Stealth 2 is tremendously durable, making the shoe quite accountable for delivering for long runs. The Stealth 2 is zero drop (completely flat;low profile), which will help moderate a safer, less vigorous forefoot strike landing. The Stealth 2 is more for running on the roads and the track, and grips well on smooth surfaces. It’s durable for long distance running. Many wear-testers will be the first to tell you that the Vivobarefoot Stealth 2 has fixed their knee pain and ITBS incredibly fast. You are on the right track to running pain-free in the Stealth 2 because they prevent bad postural habits and bad running form habits from bubbling up. This is because the barefoot, natural construction of the shoe gives less mechanical and sensory challenges, so they provide a continuing foundation to run more optimally, on many levels. 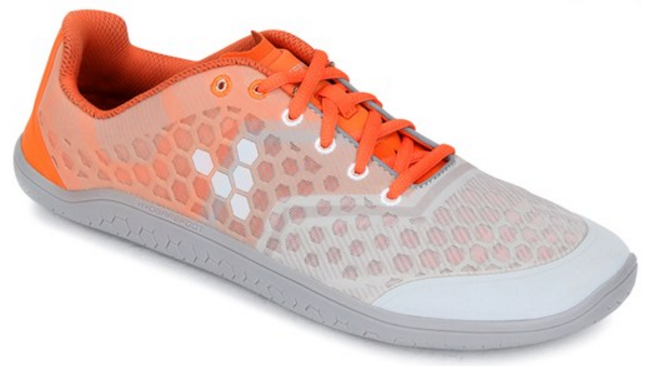 The toe-box is wide, helping you maintain strong stability and provide excellent balance support when you run. 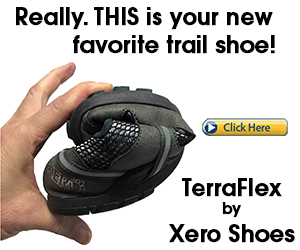 Because of its large, roomy toe-box, the Stealth 2 is a very important clinical tool for those with a bunion. It counters bunion growth by driving better toe splay when you walk and run, which also makes your stride more responsive. Toe spreading is a good mechanical practice that reduces impact, too! The Stealth 2 is a desirable shoe for the summer. The upper is well-perforated with its hexagonal pattern ventilation holes that really makes a difference at cooling the feet. Note, the Stealth 2 is not really water-proof. I would suggest wearing them for dry weather. The Stealth 2 is super lightweight and feels great without socks. 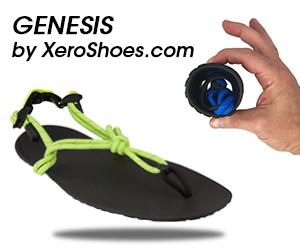 They also come with a removable insole, which makes the shoe even lighter! It barely feels like you are wearing anything on your feet. The Stealth 2 fits snug around the ankle, which helps keep debris out, and makes the shoe fit more securely to your foot. 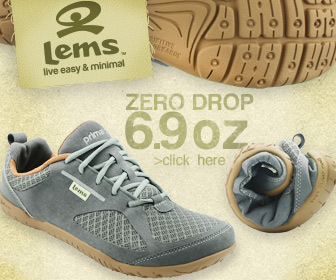 The lacing is comfortable and does not compress the top of the foot. As compared to other minimalist running shoes, the Vivobarefoot Stealth 2 gives better ground-feel than the Merrell Vapor Glove. The Stealth 2 gives similar barefoot-feel to the Vivobarefoot EVO Pure. However, the Stealth 2’s outsole seems more durable than the EVO Pure, so you can count on the Stealth 2 to last longer. The Stealth 2 gives loud-and-clear ground feel, allowing the feet to read the ground with good sensory clarity, which will advance neuromuscular coordination, joint dynamics, postural stability, movement control and help prevent foot and ankle injuries, too. Let me say that the Stealth 2 is an excellent alternative to the Vibram FiveFingers and, like the Vibrams, the Stealth 2 gives no obstructions in ground-feel. 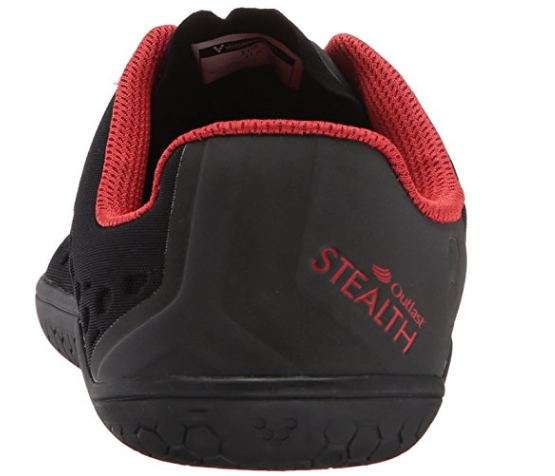 The Stealth 2 does not have that spongy, cushy feel that opposes ground-feel, making the shoe ideal for weight-lifting because it anchors you firmly to the ground. Ultimately, when you can feel the ground, everything is accelerated on a mechanical and neuromuscular level. The Vivobarefoot Stealth 2 works great for implement an efficient forefoot strike running style. What is more, the Vivo Stealth 2 are a big help for those with big feet, so the Stealth 2’s are a win-win for any runner. Based on wear-tester reports, it just confirms my confidence that the Stealth 2 by Vivobarefoot will put you on a tremendously positive path for running healthy and strong. Strong, vital feet, which the Vivobarefoot Stealth 2 facilitates, is pivotal for giving a strong base for running. This of course, allows you to increase your training intensity more safely without stubborn aches and pains. The thinner, more barefoot-like a running shoe is, the more immediate foot strength revitalization takes place, and that is what the Vivobarefoot Stealth 2 is formulated to do. It’s very much reflective of running barefoot, and that’s what really matters for injury prevention. 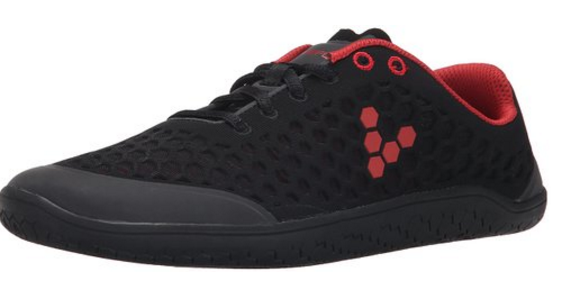 You can learn more about the Vivobarefoot Stealth II here.